Image above: Swedish steel-related companies have a leading position. Photo: Triple Steelix. The High Tech Steel Conference (HTSC) is arranged by Triple Steelix as an annual meeting place for the steel industry. It is the largest international conference in Sweden, focusing on advanced steel and how o create a sustainable future. Which is one of the most prioritized areas of the steel industry. The conference attracts experts, entrepreanurs and innovators from small, medium and global enterprizes. They come together with international researchers and students to learn about the latest developments in the industry. “Sustainability was the common thread that ran through the conference,” says Larz Ignberg, Process Manager for Triple Steelix. “Swedish steel-related companies have a leading position where steel and metals will be part of the solutions for major improvements in more efficient use of our natural resources, less energy consumption, less pollution and longer durability of products in a circular economy,” Larz Ignberg says. In the conference, international doctoral students in the steel field, from all over the world, also attended as delegates from Triple Steelix summer school YCEAS. After two weeks in Sweden with a visit to some of Sweden’s world-leading steel companies, the program ended with a diploma award at the conference dinner. 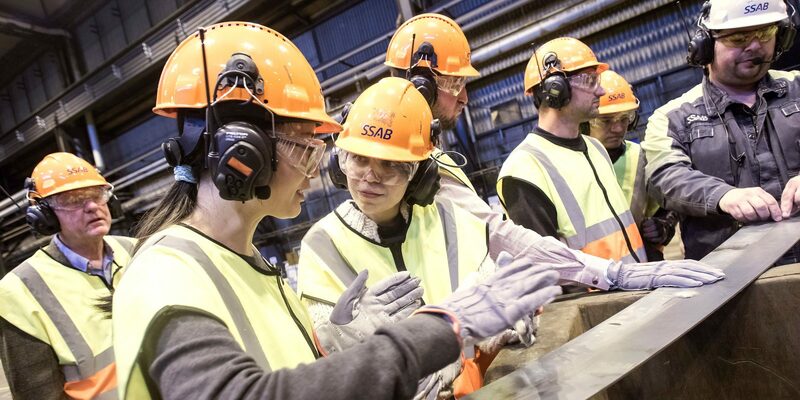 “YCEAS is a great opportunity for young researchers to get in touch with our world-leading companies in steel production, as well as to get to know how it is to live in Sweden. This was the fourth year we ran the summer school, which is considered very rewarding by our participants. In the longer term, we hope for increased cooperation and an increased attractiveness for our steel industry, work environment and our regions in the international perspective”.